Everyone knows that distracted driving is dangerous. In fact, it’s one of the top causes of traffic accidents. The following tips can help you avoid distractions and keep your attention on the road. And to protect yourself from distracted drivers who may be behind your car, consider installing a pulsing third brake light. There are virtually limitless ways that a person can become distracted while behind the wheel, but most of them fall into one of three categories: Visual, manual, and cognitive distractions. Visual distractions are anything that requires you to take your eyes off the road. Some examples of visual distractions are checking or adjusting your GPS, changing the radio station, and looking for lost items on the floor of your car. 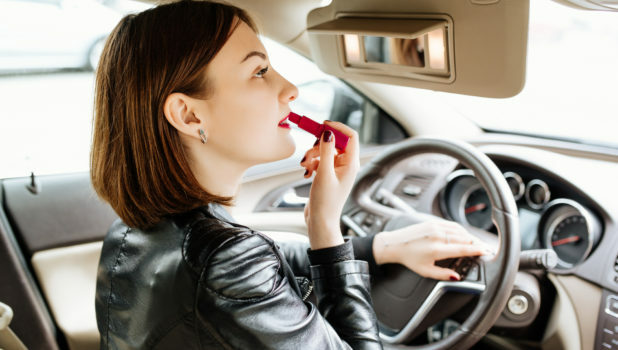 Doing your makeup, rubbernecking at accidents, and taking in the view are other forms of visual distractions. You can avoid them by pre-setting your GPS and other systems before you leave home, and by pulling over if you want to take in the view. Finish beverages before getting into your car, consider smoking cessation counseling if applicable, and keep your phone out of reach to avoid temptation. It’s crucial to stay alert and focused at all times while driving. Anything that causes your mind to wander is a cognitive distraction. Although hands-free phones minimize manual distractions, they are still a cognitive distraction. For safety’s sake, wait until you’re done driving to make a call. Other cognitive distractions include road rage, daydreaming, talking to passengers, and being under the influence of substances. Stay safe by knowing whether any of your medications cause drowsiness, never drinking before driving, and keeping your emotions in check. Pulse Protects can help keep you and your family safe while on the roads with our innovative safety products. We design third brake lights that give off pulses of light to alert drivers behind your car to slow down. All of our pulsing lights are installed by trained technicians at qualified dealerships.